James E. West was the first Chief Scout Executive of the Boy Scouts of America. The West Fellowship award is available for gifts of no less than $1,000.00 to the Council Endowment Fund. The gift must be in addition to - and not replace or diminish - gifts made to the Annual Friends of Scouting campaign. What is a better way to honor someone than with a gift that will benefit Scouting throughout the future. Recognize an outstanding new Eagle Scout, Silver Beaver recipient, Adult Leader, Cubmasterm Scoutmaster, or Scouter in your life with a James E. West Fellowship. 100 Fellows by the 2020 Centenial!!! Orange County Council is well on its way to recognizing 100 James E. West Fellowship by 2020. OCC started this endeavour in 2016 with the goal of 20 new Fellowships a year for 5 years. OCC presented 27 Fellowships in 2016 and 24 in 2017. An investment in the James E. West Endowment Fund helps assure that the Scouting Experience will continue for future generations. The Orange County Council can only use the income generated from the interest of the endowment. This helps to assure there are funds available for camperships, trainings, scholarships, and more. Recognize those who have had an impact on the youth of Orange County. Honor those who have contributed to forming our future leaders through their time and devotion to the Scouting ideals. Make a contribution in their name to the James E. West Fellowship. 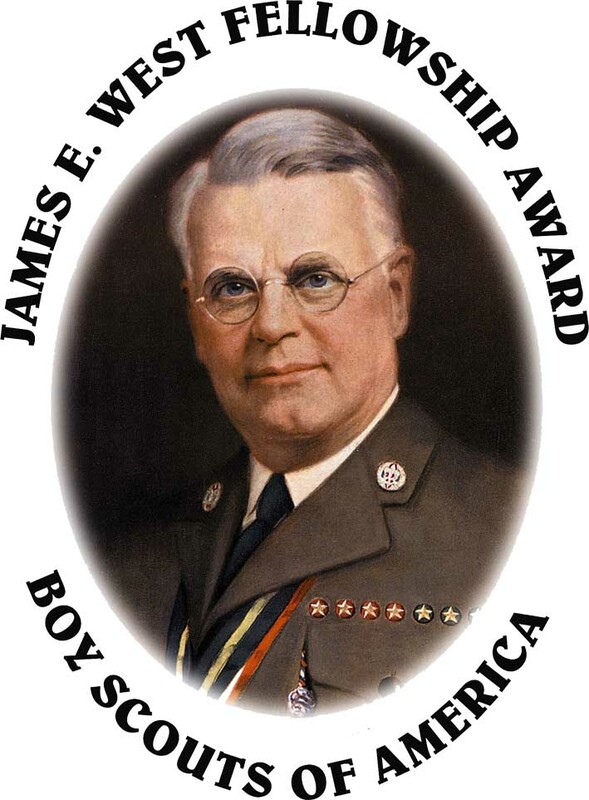 Recognize your Scoutmaster, Cubmaster, Eagle Scout, Adult Leader, Advisor, or family member by bestowing upon them the James E. West Fellowship. For more information contact Devon Dougherty at (714) 546-8558 ext. 145 or email at devond@ocbsa.org. Download the James E. West applicaton by CLICKING HERE and make your contribution today.